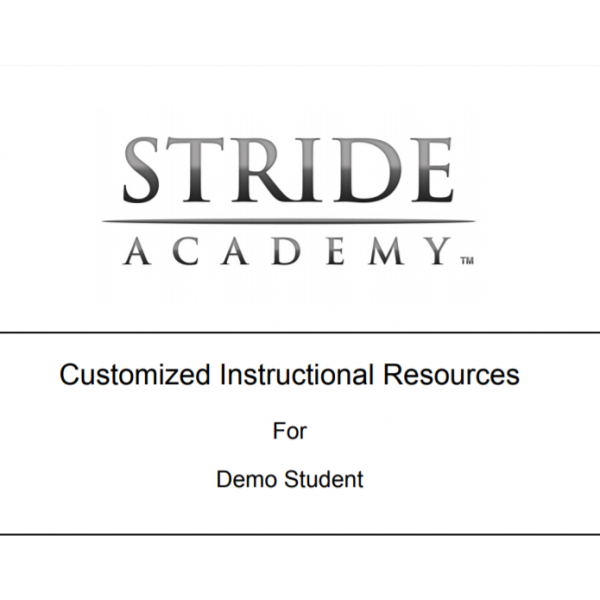 Stride’s Adaptive Technology goes to the core root of the issue for a student and automatically fine-tunes custom skills practice. Targeted video lessons and technology-enhanced skills practice rapidly bring struggling students to grade level. Your child will love to learn because in Stride, they work hard to earn coins to play exciting games. Striking graphic quality in mesmeric games from genres like arcade, physics, logic, puzzle, and sports compel your child to work hard and play hard. Track your child’s progress with easy to use dashboards. See where your student is thriving and struggling based on academic skills and standards. Keep up with your child’s academic progress in Stride while maintaining your busy lifestyle. Access your mobile dashboards on the go, anywhere. Set Stride to send you email.